Ever since I was a little girl, I’ve always wanted long hair and although I wasn’t allowed to have it (school restrictions), I envied those who did. Fast forward a few decades later… and I have the hair of my dreams! I learned some great home remedies for growing hair. Needless to say I’m pretty obsessed with taking care of it. 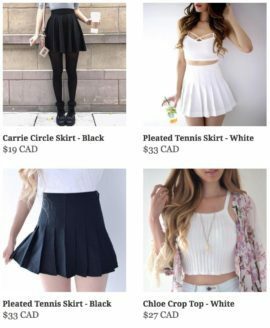 My hair is bleached blonde with platinum highlights, and it can be tough to maintain the colour AND keep my locks healthy and hydrated. I feature my hair A LOT on Instagram, and get asked lots of questions about my haircare routine and the steps I take to try and keep it healthy and long. Starting Fall 2017, I tried out a new haircare routine featuring some items from the L’Oréal Paris EverPure Moisture Line and I am really loving the results so far! I recently went to buy online keratin based hair fibers, it’s suppose to help thicken your hair. I tried out the L’Oreal EverPure Moisture Shampoo, Conditioner, and a 10-in-1 elixir which is a leave-in treatment. Since my hair is pretty dry (all that bleach! 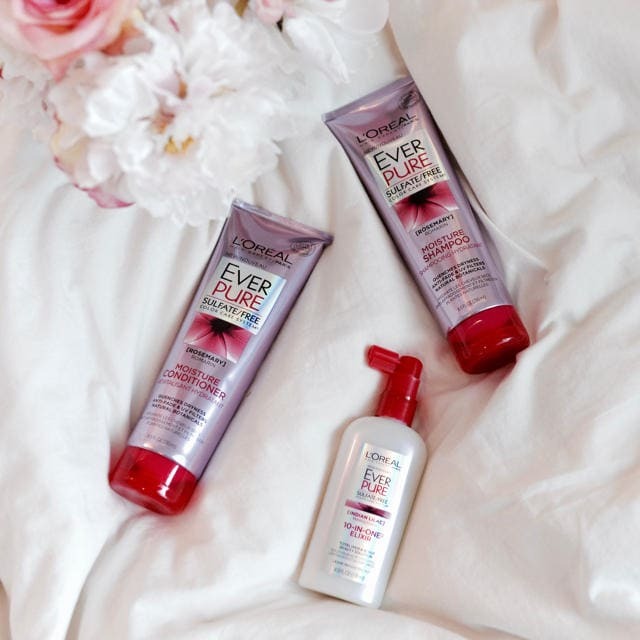 ), the EverPure Moisture shampoo and conditioner contains rosemary and helps replenish essential moisture and shine to my locks. I love how there are no harsh sulfates, salts or surfactants that can damage my hair. Step 1 of my haircare routine involves using the L’Oreal EverPure Moisture Shampoo and Conditioner in the shower. 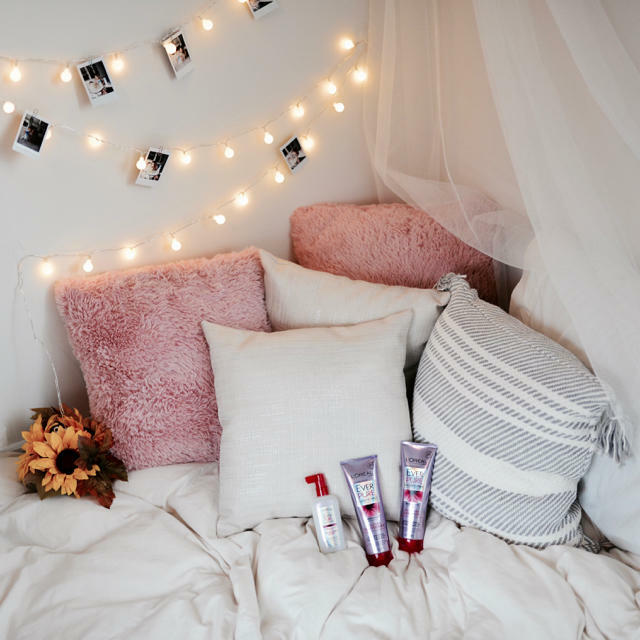 I don’t wash my hair everyday – and you shouldn’t either because the extra washes will strip away the natural oils in your scalp (which helps naturally nourish your hair). I wait 2 or 3 days in between washes, and I generally time it after a workout or an intense shopping day (hahaha!). 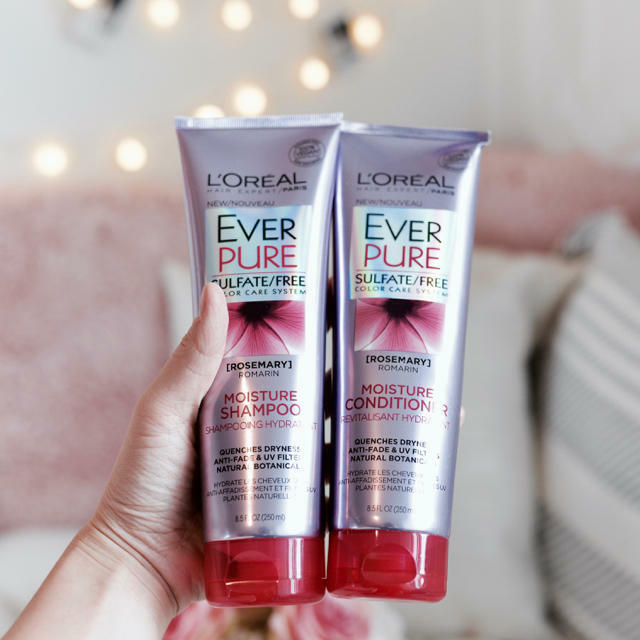 The L’Oreal EverPure Moisture Shampoo smells like lavender, which is really soothing. TIP: Make sure you take the time to shampoo your hair a second time AND to rinse out all the product from your hair! I always find that the first shampooing round is to lift the dirt and grease off the hair, and the second shampoo helps take away the gunk. This makes conditioning your hair much more effective! 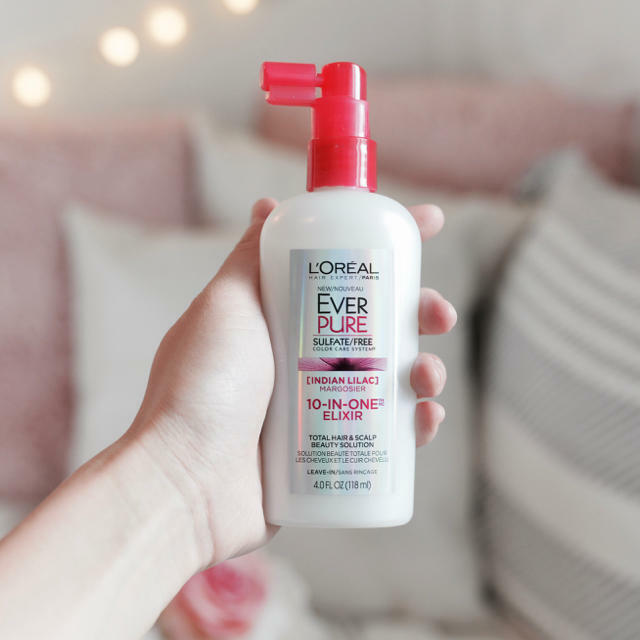 For conditioning, I leave the L’Oreal EverPure Moisture Conditioner in my hair for at least 3 minutes as I find this helps my hair soak in the goodness of the conditioner. After I wash off my conditioner and step out of the shower, I towel dry my hair (DO NOT RUB HAIR BETWEEN TOWEL! Always pat down softly) and follow up with a few good spritz of the L’Oreal EverPure Moisture 10-in-one elixir. This is a skincare inspired super treatment with indian lilac that aims to deliver 10 benefits in 1 (1. Nourish 2. Hydrate 3. Soothe 4. Repair 5. Density 6. Smooth 7. Texture 8. Strength 9. Softness 10. Shine) – basically a spa treatment for your hair! I then let my hair air dry to allow time for my hair cuticles to close, then when my hair is 50% dry I finish up by blow drying in a medium – low heat setting. After using the L’Oreal EverPure Moisture line for 2 weeks, I’ve noticed a few subtle but important changes in my hair! To begin with, my hair is a lot more manageable and soft. This says a lot given that my hair is super dry already. I find that the 10-in-one elixir really helps to smooth out any frizz and detangles my hair so it doesn’t get caught in my brush (and subsequently gets pulled out). 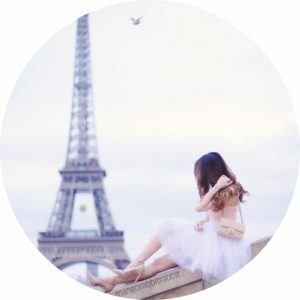 In addition – my bleached blonde hair color is maintained. Everyone who colors their hair knows that the blond tends to oxidize with time, turning into a brassy, orangey color. Despite the L’Oreal EverPure Moisture Shampoo and Conditioner not being a blonde or purple line, I find that the blonds in my hair are still maintained which is an added bonus – YAY! So there you have it! I’ll be continuing to use the L’Oréal Paris EverPure Moisture line for a longer period of time, and I’ll update any new findings here! The L’Oreal EverPure Moisture line is the recipient of the “I recommend” award from cosmetics magazine in Canada, and is 100% Sulfate Free, 100% Paraben Free and 100% Vegan. If your hair is like mine – a little dull and dry – give this line a try and let me know what you think!